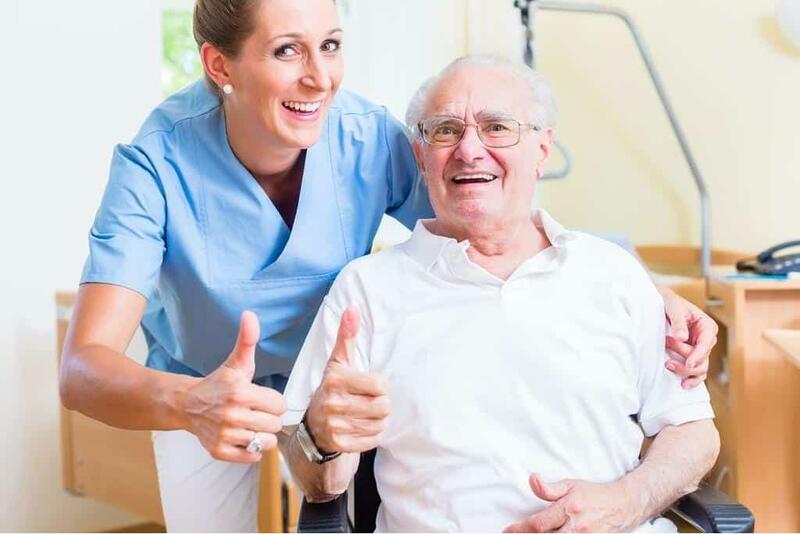 A certified nursing assistant assists patients with activities of daily living, which would include bathing, dressing, movement, eating, and bed making. A CNA works under the supervision of a registered nurse or licensed practical nurse in a variety of healthcare settings. The huge demand for qualified direct care professionals makes it a great time to enroll in a CNA training program and find immediate employment in the fast-paced health care sector. In Illinois, CNAs benefit from superior wages, flexible schedules, and job security. Graduates of nurse aide training programs are eligible to sit the mandatory Illinois State Competency Exam to get listed on the Health Care Worker Registry. The CNA program provides the foundational knowledge and skills to support patient health and well-being in a long-term care facility. Learn basic care skills for patient well-being in healthcare facilities. Graduates are qualified to sit for the Illinois Department of Public Health Nurse Aide Competency Exam. The program features lectures in the classroom and hands-on training in a simulated lab followed by supervised clinical experiences at a local long-term care facility. There are two schedule options for the class: Monday, Wednesday, and Friday from 8:00 am to noon plus a 40-hour clinical experience or Tuesday and Thursday from 5:00 pm to 9:00 pm plus a 40-hour clinical. Admission requires a background check and valid social security number. Tuition for the 6-credit program is $119.25 per credit hour plus fees. Entrance to the nursing assistant program at Solex requires applicants to have a high school diploma or GED equivalency. In accordance with the IDPH requirements, students must also complete a fingerprint background check. A disqualifying conviction will affect a student’s ability to secure state certification and work at a health care facility. Proof of immunization may be required for clinical participation. Applicants under 18 years must acquire a waiver from a parent or guardian. Additional requirements include a cumulative score of 21 (minimum) on Wonderlic or 19 (minimum) on the ACT. An admissions interview and completed application and $100 fee are other parts of the enrollment process. The 120-hour program includes 80 hours of academic training and 40 hours of clinical practice. The Health Sciences career pathway at Wheeling High School enables students to explore health careers during the 9th through 12th grade. Successful graduates can become certified as a Certified Nurse Assistant and Emergency Medical Technician. Certification in CPR, first aid, and emergency preparedness is also included in the curriculum. Course topics include Introduction to Health Careers, Health Science, Medical Terminology, Human Physiology, Human Anatomy, and Advanced Biology. The nursing assistant program at Jethro Healthcare provides the academic and practical skills students need to successfully pass the Illinois Department of Public Health Nursing Assistant Certification Exam. The curriculum features 80 hours of classroom instruction, which includes 4 hours of CPR, and 40 hours of supervised clinical training and 4 hours of exam review. Before entering the clinical portion of the pogrom, students must complete a physical exam, purchase uniforms, and pass a TB test. Other requirements include a high school diploma or GED, valid social security number, a passing score on the aptitude test, and proof of age (at least 16 years). Tuition for the program is $950. Other costs include books, uniform, registration, fees, state exam, CPR, malpractice insurance, and TB test. The Basic Nursing Assistant (BNAT) program at Americare contains 120 clock hours – 80 hours lecture and 40 hours clinical for a total of 10 credit units. The program provides students with the course of study, skills, practice, and hands-on training needed for the provision of competent care to patients in an acute or long-term care facility. After completing the program, graduates are eligible to sit the Illinois Competency Evaluation for Nurse Aides. Admission requires prospective students to complete an application form, submit a copy of high school diploma or GED certificate, submit to fingerprint-based Health Care Worker Criminal History Records Check, and pass a TB skin test or chest x-ray. Throughout the training, students take vital signs, assist patients with bathing, dress, and walking, reposition patients in their beds, tidy patients rooms, set up medical equipment, replenish supplies, and observe patients and report changes to supervisors. Day, evening and weekend schedules are available. Tuition for the program is $900 plus $280 for books and supplies. The Basic Nursing Assistant Training Program at Avid consists of 120 hours of theory, lab, and clinical activities to prepare students for success on the Nurse Aide Competency Exam. Students learn basic nursing skills to work as entry-level employees under the supervision of a registered nurse in acute care and long-term care settings. There are sixteen sessions covering topics such as work ethics, body mechanics, introduction to hospitals and nursing centers, communication with the health care team, preventing infection, assisting with comfort, hygiene, grooming, elimination, oxygen needs, bowel elimination, wound care, and rehabilitative and restorative nursing care, preventing falls, promoting safety, body structure and function, and care of the older person. A prospective student must be 18 years or older, have a reading comprehension proficiency of at least 10th-grade level, pass a criminal background check and TB test, and submit a copy of health insurance coverage and current CPR card. The total cost of attendance is $1,225 including tuition, registration, books, uniform, materials and equipment, CPR certification, and certification exam fee. International Career Institute offers the Basic Nursing Assistant Training Program to persons seeking to start a career in the healthcare industry. The program is approved by the Illinois Department of Public Health, and graduates are eligible to sit for the Illinois Nurse Aide Competency Written Examination. The 120-clock hour program is divided into 80 lecture hours plus 40 hours of supervised clinical activities at a long-term care facility. The academic and practical training prepare students to master their role as an entry-level CNA. There are three different class schedules: Weekend mornings (Saturday and Sunday), weekday afternoons from Tuesday through Friday, and Tuesday and Thursday during the morning. The program duration is 5 to 10 weeks based on the schedule. Applicants must possess valid social security card, undergo a criminal background check, drug test, and TB screen, provide proof of immunization, and submit a physical exam report, and proof of high school graduation or GED certificate. An admission assessment will be administered to all students. The total for tuition and fees is $890. Additional costs and incidental fees include textbooks, state exam fee, background check, and uniform. A Plus Healthcare Training provides nursing assistant training that is approved by the Division of Private Business and Vocational Schools of the Illinois Board of Higher Education (IBHE) and the Illinois Department of Public Health (IDPH). Graduates will receive a certificate of completion that will make them eligible to take the state-mandated Competency Exam for Nurse Aides. A Plus features small class sizes, experienced instructors, well-equipped facilities, flexible schedules, and personalized instruction. Eligibility requirements include the ability to read, write, and speak English proficiently, free from communicable disease, a completed application and signed agreement to disclose medical information, a criminal background check, TB test, and up-to-date immunizations. Tuition for the program is $1050. Textbooks, supplies, uniform, state competency exam, and criminal background check will cost an additional $350.